So How Would Changing Leader Work Out For The Lib Dems & Will Nick Clegg Lose Sheffield Hallam? Thursday’s elections saw significant (yet unsurprising for pollsters) losses for the Liberal Democrats. Since then, media commentary spurred on by known disaffected Liberal Democrats has suggested that the party is facing ‘wipeout’ and needs to oust its leader Nick Clegg immediately in order to save itself from total annihilation next year. The latest evidence to “support” this is private polling conducted by ICM Research leaked to The Guardian in Inverness, Bairn, Badenoch & Strathspey; Twickenham; Wells; Redcar; Cambridge; and Nick Clegg’s own constituency, Sheffield Hallam. One of the initial difficulties assessing what the “headline numbers” are for these ICM polls is that for the first polls conducted, a “split sample prompt test” was conducted. The earlier polls – in Cambridge and Redcar had an “A” sample that did not mention UKIP and a “B” version that did. These were then merged together – you would not typically do that for a published poll and it’s clear to me that ICM did not have the intention to publish this work. Version A: “The Conservatives, Labour, Liberal Democrats, and other parties would fight a new General Election in your area. If there were a General Election tomorrow, which party do you think you would vote for? In Cambridge, the “A” version gave LAB about a 4% lead over the Lib Dems. The “B” Version, including UKIP generated a 14% LAB lead over the Lib Dems. The “B” prompt version was the the wording chosen for the later polls including in Sheffield Hallam. As ICM clearly state in their methodology section, these polls show a departure from their usual treatment of “Don’t knows” and “refuses”. observer wish to see what difference the adjustment procedure would make. Typically, sitting MPs enjoy a boost in elections due to what is known as ‘incumbency factor’. This means that an ideal constituency poll question is not asked in a generic way (for example, ‘Who would you vote for in a general election tomorrow?’) but with the names of the specific candidates standing and a question which explicitly refers to the constituency itself. Survation have no doubt that the likes of Nick Clegg, Julian Huppert and Danny Alexander are hard working, well known incumbents which, just in itself would push Cambridge for example into a win for Huppert using ICM’s normal methodology. With less than a year to go to polling day, ICM’s polling shows that 96% of Sheffield Hallam’s constituents do not even know the names of the announced Conservative and Labour challengers for those seats. We also have some interesting clues from a Lord Ashcroft Poll from 2010 in Sheffield Hallam conducted post a good 4-5 months into this highly unpopular Coalition (particularly for LD 2010 voters). Initially, Populus Polls for Lord Ashcroft asked voting intention in Sheffield Hallam not naming candidates (fair enough of course as there were none then then for 2015 bar Nick Clegg). Voting intention headline figures were: LD 33% LAB 31% CON 28% Others 8% – a LD lead of just 2%. Interestingly, a follow-up question was then asked which named the candidates that stood in 2010 and reminded voters Nick Clegg was their 2010 Lib Dem candidate. Q.5 At the last general election, Nick Clegg, the Liberal Democrat candidate, was elected as MP in this constituency. Had you known on the day of the election that the Liberal Democrats would enter a coalition government with the Conservative Party how would you have voted? – Of those stating a view, this question naming the candidates turned a 2% LD lead over Labour to a 16% lead. ICM’s poll published yesterday also shows that 88% of current Lib Dem voters in Hallam believe Clegg is doing a good job, vs only 10% a “bad” one. In summary – we’re pretty much convinced naming the candidates would have produced very different results here. Is Nick Clegg any kind of liability? Would the Liberal Democrats fare better with a different leader? The short answer is ‘no’. As long ago as September 2012, Survation asked nationally how people would vote differently were Vince Cable the Liberal Democrat leader. This slightly leading question increased the Liberal Democrat vote share by just *one* point. 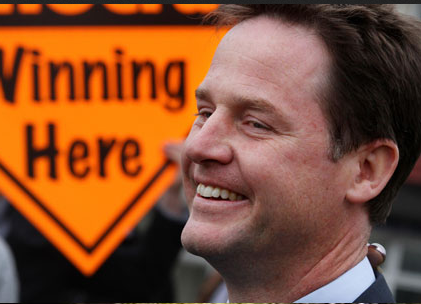 Do you think Nick Clegg should remain as Leader of the Liberal Democrats? We believe that a candidate named, regular methodology poll from ICM would show Cambridge and Sheffield Hallam as clear Lib Dem holds. Tessa Munt is not 20 points adrift in Wells and that Redcar as a likely Labour gain on paper should be a surprise to no-one. A mix of prompt types were used in some of this polling which is unusual. YouGov and Survation polling clearly show there’s no evidence an alternative leader is the medicine for the Lib Dem’s current pain.